HE always declared that if ever he fell in love it would be in the summer—and so it was in the very dawn of May that I introduced him to Sylvia. I was, of course, merely and obviously a matchmaking old woman and got much pleasure and profit out of the fact. Jerome Barry had always been a bother to me, and I believe to himself; he was so desirable, so experienced, so fortunate and comely, and with all this, so rich. He was something rather high up in diplomacy, and would one day, people said, be really—well, important. The Gallic strain which bears the blame for so much must be blamed for the faults of Jerome. His mother had been French, of a family thrice refined, and he, half dreamer, half man of the world, was too fastidious, too difficult. And he wanted, so keenly wanted, to fall in love; he was sincerely terrified of growing old without this great experience, horrified at the thought that he might, after all, have to make a commonplace marriage or leave the whole thing alone. I had brought so many girls and women unsuccessfully to his notice, and this not without a flicker of remorse, for he was very charming and apt to leave broken hearts behind him, and I was beginning to feel rather desperate. "Why don't you look elsewhere?" I asked. "A shame to thrust all the responsibility on me." He assured me that only in my rooms could he find the women he cared to even consider. "Everyone uncommon comes here," he smiled. "And then the background is so delicious." "I don't encourage fools or good dull people," I replied. "And I try to keep my old house elegant—but you are really becoming tiresome." Then I thought of Sylvia. I did not know very much about her, but I had been greatly of the acquaintance of her people in the old days and remembered her as a petulant, lovely child. She had just returned from Tuscany, where she had been staying for years with one of her mother's cousins; she was an orphan, well-bred, well off, and rather peculiar. Talented I mean and original, witty and attractive, but all in a kind of dim way, difficult to express, as if there were veils about her personality. She did not come very often to my house, but she had been frank enough with me; she was not bored, she was too intelligent for that, but rather at a loss. She wanted to get married, or at least (or at most!) to have a wholly absorbing love affair. Like Jerome, she wanted high romance. Sylvia's taste in dress was masterly; she disregarded the fashions, yet was not eccentric; that day she wore an exquisite dress of faded raspberry colour and a large faint gauzy black hat with delicate plumes that was like a dimness about her head. She was dark and her features were indifferent, but her grace, her complexion, and her voice were excellent. And what more, I asked myself in irritation, could any man want? She was posed charmingly on a settee of old rubbed gilt wood, and behind her was my bronze and dead rose tapestry—she sat very still, with a translucent white cup and saucer in her hand, and looked at Jerome. She may have suspected my design, but, I was thankful to observe, she made no attempt to shine in charm or wit; she was most quiet and left early. "Where does she live?" asked Jerome. "An old house in Richmond, near the deer park—a house where the trees outside make a greenish light in the low rooms—the furniture has chintz covers with bunches of lilac and bunches of grapes, and the walls are fluted panels." "With a companion, or a friend—it is a delightful sort of house; don't you think you would like to see it?" They began to see much of each other, not always in my house. At the end of two weeks she confessed to be completely in love—at the end of three he confessed that he was nearly in love. "What is the difficulty?" I asked crossly. "She is delicious, gorgeous, exceptional—"
"I know, I know. I have no fault to find—"
"You are a philanderer, Jerome! You've hesitated so long you've lost the flavour of everything—you are a trifler—"
He denied this, and insisted on his capacity for intense passion, for a storm of love, devotion, and fidelity. He could not explain his hesitancy about Sylvia, though he tried to. "Somehow she is dim," he remarked, "veiled, subdued—all her qualities, I mean." "You're quick," I agreed, "and quite right, but haven't you always detested the obvious, the blatant, the crude? Don't you revel in half-lights, half-tones?" "Yes, but there is something exasperating about a flavour you can't quite get—something appeals to me tremendously—but there isn't enough of it for me to know what it is." This was as near as he could get, and altogether too fine-drawn for me, as I told him. But when next Sylvia came to me with her account of things, I noticed more carefully than perhaps anyone has the right to notice anyone else. I felt that the keenness of my scrutiny was almost indecent. There certainly was something exasperatingly illusive about the personality of Sylvia. Did her manner not fit her real self?—was she too self-conscious?—was she not quite sincere? Yet even as I asked myself these questions I knew that they were all too simple for the case. "Do you think he is going to love me, Lady Mary? I don't know what I shall do if he doesn't love me." "You have only known him a few weeks," I parried. "As if time counted!" came the plaintive voice. "He likes me, he follows me—he asks me in everything but words—"
"I don't know why he doesn't speak." "But you're his confessor, aren't you?" "How long is he going to be making up his mind? It's killing me, Lady Mary—a man like that—"
I was silent. I felt vexed with Jerome; he wasn't so young; there weren't so many women like Sylvia. I did not, old and wise as I was, know what advice to give her. I would like to have told her to be more natural—that is, less subtle; but how did I know what her "natural" was? And I did know that Jerome loved the fine, the elusive, the mysterious, and detested the jovial, slangy, robust type. So I had to let her go, with what vague comfort I could give her—and that was nothing much. Almost immediately afterwards their fate came to a crisis. This was how I put the scene together from what I heard afterwards from both of them. It was an extremely hot afternoon; her fluted, panelled room was shuttered and full of bronze shadow. She sat on a faded needlework chair, waiting for him; she wore, I think she said, white, or some very pale colour that was drowned and drenched in the shadows; by her side was a bowl of flowers, roses, irises, tulips, forget-me-nots, peonies, white lilac, all spread vividly and distinctly in their clear shapes and colours against the dusky background. He came straight in, went up to her, slowly bent over her and kissed her. She sat most still and turned away her head; she waited, patiently, for him to kiss her again; she was conscious that, through the obscurity of the shuttered room, across the bowl of varied flowers, he was scrutinising her; she used that word—"scrutinising." "Have you got a friend—an intimate friend?" "Yes, the woman I stayed with in Tuscany. Linda Vanni." He said nothing more; there was a bleakness between them; their kiss had withered before it had bloomed. As they put it to me afterwards, she was "found out." As he kissed her he had suddenly guessed the riddle of her personality. She was imitating someone else, not genuine, a carefully coached sham. He was at once sure of this, and sure that Linda Vanni was the woman he would love, and she, poor wretch, read him quite clearly. "Would you like to meet her? I will take you to see her if you like." This was (she told me) absolutely the only possible thing to say; it saved her from the last humiliation; it was like a confession just before discovery. "I always thought you would like Linda; I meant to tell you about her before." She said this with cold weariness; both ignored the kiss, both ignored his question: "Have you a friend?" He, so he told me afterwards, had really almost forgotten Sylvia, so entranced and excited was he at the prospect of meeting Linda; he felt as delighted as a man might who has loved a portrait and suddenly been promised a sight of the original. Already he was considering Sylvia as but the faint imitation of Linda; he pressed for a date when he might see this friend; his was the complete cruelty of self-absorption. When I pointed this out to him he said that there was no need to consider Sylvia, for her passion was counterfeit, like the rest of her—she was incapable of real feeling, he declared. Of course, wrongly. Sylvia loved him. Her offer to take him to Linda had not been a confession of defeat. "I'll fight," she said. "After all—even Linda—"
I asked if it was true that she had copied Linda. She confessed that it was. As a girl she had been very awkward and self-conscious, rather stupid (she said) and rather plain, and Linda had taught her everything. Oh, she was a kind of relation, the daughter of Sylvia's mother's cousin, if you could follow that, half Italian, like Jerome was half French, a widow (oh, but a widow!). Sylvia had lived with her for nearly five years absorbing, adoring, imitating this other personality so vivid, so powerful—so entrancing. When she had come to London, to take up her own life in the sweet old house at Richmond, she had been, she knew, a very fair copy of Linda—what Linda herself called "una donna elegantissima," which isn't, somehow, the same as "a very elegant woman." Then Linda had herself come to London, and Sylvia had purposely refrained from presenting any of her friends or acquaintances to her; but she had gone to her secretly, as it were, taking fresh "lessons in deportment," as they used to say at the Academies for Young Ladies. Linda had been told all about Jerome Barry, had been enthusiastic, intensely interested—had advised every step of the way, had even taught the gesture of averted face after the first kiss, the gesture that Jerome had detected, that had really "given the game away." "And now you've got to take him to Linda," I mused. "A pity you ever imitated anyone, Sylvia; you're very charming—"
"I used not to be; I was horrid, spoilt, plain—I didn't know how to dress or how to behave—I owe everything to Linda." "Linda, of course, won't take any notice of him, and when he sees it's no use with her he'll come back to 'second best,'" was Sylvia's hope. "Why do you think that Linda will take no notice of him? Jerome is extremely attractive." "But Linda is my friend," flushed Sylvia. "And absolutely loyal—she has so many men in love with her too." "Well, yes, of course—" I didn't know what to say. "Can't you advise me?" sighed Sylvia, pale with anguish. "You've had so much experience, Lady Mary." "Experience?" I snapped. "And what has it taught me?—that I know nothing about anything. Do you think that I know more of men through having had two husbands?" "I hoped you might," sighed Sylvia. "What am I to do?" "Be more yourself and less of Linda Vanni, I should think," was all I could suggest. But there isn't any 'self,'" wailed poor Sylvia. "I was nothing at all, and I've been copying Linda so long—I couldn't stop." "I should like to see Linda." "Come next Thursday when I am taking Jerome." So I went with these two to the Contessa Vanni's delicious apartments overlooking the Embankment, on that momentous Thursday. I saw at once that she was Sylvia's "original"; dress, gesture, even thought and speech were the same. But Linda was vivid where Sylvia was faint, decisive where Sylvia was hesitant, bright where Sylvia was dim—in brief, the original, not the copy. She had, too, the advantage of being a lovely woman; only Sylvia scored on the point of youth; I didn't think Linda was any less than forty. Still, there she was, in her low, cool room perfumed faintly, adorned with lilies in pearl-coloured glasses, filled with music from a queer little gilt organ, herself in the most mystical of puce gowns, with her perfect arms encircled by bands of ivory—a lovely woman indeed—such hair, such eyes, and the small, classic features never seen on a Northern face. Jerome had come prepared to be enslaved. He made no disguise of his instant conquest, nor did Linda, I thought, repel him; but perhaps she had for everyone that insinuating manner of melting sweetness. After events, however, proved my suspicion true: Linda Vanni drew Jerome as with a magnet, and, as with a magnet, kept him. Sylvia came to me aghast. "Perhaps she loves him," I suggested weakly. "Have you spoken to her?" "Perhaps there is nothing in it." "They are always together; I never see him now." "She's a treacherous beast, then?" I suggested crossly. "I'm afraid she is," whispered Sylvia. I found out from Jerome that she was; they were going, step by step, over the road he had travelled with poor Sylvia. He was going to marry her (oh, but soon!). Had he arranged that yet? No, the supreme moment was being delayed; he was enjoying, to their full, all the graces and charms that Sylvia had indicated to him; where she had given a hint Linda gave the thing itself; Sylvia had given a faint sketch of his ideal woman—Linda gave the complete picture. He was really in the seventh heaven of rapture, and only my ingenuity (for I was so angry with him that I wanted to pick his happiness to pieces) would have discovered the flaw in his perfect satisfaction. If Sylvia had been too faint—Linda was too vivid; if Sylvia was too veiled—Linda was too exposed; he almost admitted that his perfect woman would be between the two—there was a certain crudeness about Linda which sometimes made her copy more desirable. This is what it came to, and, well, I had noticed it myself. "Crude" seemed the wrong word to apply to anything as exquisite as Linda; but there it was, a flamboyancy, an exotic quality that Sylvia had interpreted into a more delicate grace, a more tender charm. I told this to Sylvia, for I thought that therein lay her own hope. "Go and have it out with Linda," I said. "Tell her everything." "Tell her that Jerome found you too faint; tell her to lay it on thick," I replied, like the vulgar old woman I am; "goad her to overdo it." Sylvia's eyes gleamed in a way that gave me some hopes of her. "Do you think I could?" she asked. She went to see Linda—the two hardly met since Jerome had been led, an eager victim, to Linda's altars, and this interview ensued. "I suppose you are going to marry Jerome," said Sylvia bluntly. "I suppose so," said Linda, also rather bluntly. You see, after all, they were just a couple of women, and I have always rather doubted if they had been quite as devoted to each other as they thought they had been—I wonder, in a way, if women ever are! "You know I'm awfully fond of you, Sylvia, and I hope to get you nicely married yet—but I felt I couldn't sacrifice myself any longer—"
"Any longer!" said Sylvia softly. "I didn't know that you had been sacrificing yourself for me." "Oh, didn't you? You've always been such a simple little thing. Do you really think I liked teaching you everything? All the tricks and dodges? Making you such a copy of myself that some people can't tell the difference?" "Why did you do it then?" asked Sylvia. "Well, I was so sorry for you—you were such a raw creature—and you asked me, didn't you?" Sylvia began to detest Linda. "Leaving that out of it," she said, "you knew I wanted to marry Jerome, you knew he was in love with me." "With me, dear," corrected Linda, "with my reflections in you—you can't say I've robbed him from you," she added gently, "for he was in love with me from the very first." This was so true that Sylvia paled with rage. "I suppose," she said faintly, "you would have claimed any man who admired me on the same grounds?" "Well, shouldn't I have had a right to?" suggested Linda delicately. "You see—what any man would admire in you would be just what you've got from me." This, again, was so devastatingly true that Sylvia lost her temper. "Perhaps when I'm your age I shall have thought out a few tricks for myself." "Quite likely, dear," said Linda serenely. "Anyhow, you can have the next man that comes along, for I'm quite content with Jerome." However, with admirable control, she regained her temper and began to guilefully lay her little trap for the triumphant Linda. "After all," she remarked, "I don't know that I've much to thank you for; you don't seem to have taught me enough to carry a man away—why didn't you tell me to let myself go, to be more vivid, more brilliant?" Linda pricked up her ears. You see, she had (I guessed) been rather piqued that Jerome hadn't proposed to her before now and felt that there was, somewhere, a slight hitch. "It wouldn't suit your style, dear," she said soothingly. "Why should you think it would have been successful?" "Well, it would have been with Jerome," lied Sylvia. "I just lost him because I was too faint, too vague, too dim—he adores the florid, the exotic, the flamboyant, the passionate." "How do you know?" asked Linda quietly and suspiciously. "He told Lady Mary Carfax so." This was precious news to Linda, who had been rather keeping herself in hand, rather subduing, as it were, her effect for fear of frightening Jerome, whom she had correctly judged to be extremely fastidious. But Sylvia had completely deceived her. She decided that she had misunderstood Jerome and was losing him by "undoing" things. She was being, in fact, too much like her own imitation. "Well, don't let us quarrel," she said vaguely, for she was busy with her own thoughts. "I expect I shall be able to do something for you yet, Sylvia." Sylvia thanked her and came away. "She's sickening," she confided to me. "I don't want to be like her any more." As Jerome had seen through her copy of Linda, so she had seen through the woman herself—seen her artificiality, her affectations, her ugly selfishness and greed. The shock of this revelation altered Sylvia a good deal. She had said that she had no "self," but she soon found one when she dropped all her carefully acquired mannerisms and graces—she sold her wardrobe (bought by Linda), gave up her perfumes, styles of hair and hat, tone of voice and choice of subject (taught by Linda), and tried to think and act for herself. Not easy, of course; a great deal of what she had learnt would remain with her for a long time, but she was, as I said, wonderfully changed with her plain clothes (when it came to it, she liked tailor-mades, not scarves and veils), and her rather plain face, that somehow looked a deal more attractive and intelligent without the cosmetics and curls, however charming these had been. She looked what she was, a pleasant, fragrant English girl, not an Italian "mannequin," or rather, a copy of an Italian "mannequin," for I told myself viciously that Linda was no better than that. I wondered why Linda had bothered to cast her nets so firmly round Jerome; surely there were other fish in the sea? Perhaps she really fell in love with him; perhaps, for all her charm, he was quite the best match she could hope for. You see, Linda was over forty, I'm convinced; and when I say over, I don't mean just over. I hadn't much hope that our little stratagem would defeat her designs on Jerome; I believed that she was altogether too clever for both Sylvia and myself. At this point it may be asked why Linda, with her charm and opportunities, bothered so very much about Jerome, and made this sudden onslaught on his affections. I never myself quite knew the reason—perhaps Linda found herself really, for the first time, submerged by passion, perhaps she saw the real advantage of a marriage with a man like Jerome—perhaps she was just a rather ordinary adventuress sort of person and had been for a long time looking for a victim like Jerome. I never knew Linda well, so I don't know which of these suppositions is correct. I can only repeat that Linda wasn't very young and that Jerome was very attractive. They were inseparable, and neither, of course, came near me or Sylvia, but I observed with malice that their marriage was not announced. Jerome was taking his time, even with the potent Linda. 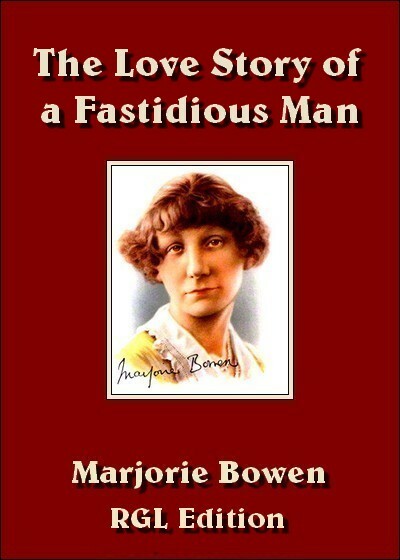 The fastidious man in love! I thought of it ironically, but I could not think ironically of a defeated, changed Sylvia. Then, in the very limit of the season, when I, almost the last of everyone, was about to leave town, Jerome Barry suddenly appeared at my house. "You're a truant," I said severely, "and, I'm afraid, a traitor. Have you come to tell me that you are going to marry Linda Vanni?" "No, I haven't," he said crossly. "The Contessa Vanni left for Italy yesterday." "And I suppose you've come to say good-bye before you follow her?" "No, I haven't," he replied, quite childishly, as I thought (he seemed to have lost a good deal of his—well, I suppose what you might call airs and graces); "she's gone off alone and I don't think it likely that I shall ever see her again." He laughed, which must have been the last thing he wanted to do; still, Jerome did always have that saving grace of being able to laugh at himself, to see himself, if only occasionally, in a humorous light; the lack of this ability has spoilt several otherwise great men. "Of course I can't tell," he said. "Of course not," I agreed. "There are so many nice things one can't do, many of them the nicest of all. Still, you might give me a hint." "You can guess if you like." "Well, then, I guess that it was all tremendously overdone—that you liked the hint better than the whole thing—the imitation better than the genuine." "Don't put it like that," he begged. "I won't then, but I think that it has done you good." He agreed, rather to my surprise. "It has done me good." "Well, we won't say any more about it." I gave him this classic comfort; but all the same, before he left the house, I managed to get the whole thing out of him, without, of course, his knowing that I had. The climax had been the kiss—perhaps it often is. Jerome had set his scene for the first kiss with Linda, just as he had set it with Sylvia. The shuttered room, the soft golden shadows, a bowl of Japanese lilies this time, Linda in a black gown on a black couch—ah, but a charming set! I don't know why he didn't like it, but he didn't; as I say, experience only teaches us that we know nothing at all. By all the rules of the game Jerome should have been overwhelmed with delight and ecstasy, but he wasn't. He got away from her as quickly as he had got away from Sylvia. Imagine the scene! And Linda after he had gone! I don't suppose there was much left of the tiger-lilies—I like to think of her tearing them up and stamping them into the carpet and being really human for once—I mean doing something without calculating the effect of it on herself (lines, wrinkles, etc. ), or on others (charm, capture, admiration, etc.). Of course I didn't mention Sylvia, but I took her to the last of the big garden parties where I knew he would be. Sylvia in a modest little hat and a lawn frock, just the rather ordinary little creature that she was, not a bit like the portrait of a wealthy sitter by a fashionable R.A., nor yet like a magazine cover (she had been a cross between the two). Jerome was interested by the change in her; I suppose, too, he was a bit tired of shams and effects. I saw them together under a tree eating ice-cream. She told me afterwards what they had said. He: "What did you mean by turning away when I kissed you?" She: "I was so awfully in love with you I didn't know what I was doing—of course I was a fool to think that you meant it seriously—a man like you..."
After that—well, she made him an excellent wife, and Linda Vanni isn't married yet.